This image - captured by the Mars Reconnaissance Orbiter (MRO) - shows the Mars Science Laboratory (MSL) and its rover (called Curiosity) parachuting to the surface of Mars. This image is not an artist's conception - it is an actual image captured by the MRO's HiRISE camera during the final minutes of Curiosity's landing stage. The bright spot on the backshell containing MSL might be a specular reflection off of a shiny area. MSL was released from the backshell sometime after this image was acquired. This view is one product from an observation made by HiRISE targeted to the expected location of MSL about 1 minute prior to landing. It was captured in HiRISE CCD RED1, near the eastern edge of the swath width (there is a RED0 at the very edge). This means that MSL was a bit further east or downrange than predicted. The image scale is 33.6 cm/pixel. Soon after it landed - and was safely in position, on the surface of Mars - Curiosity began to snap pictures. One of the first depicts Mt. 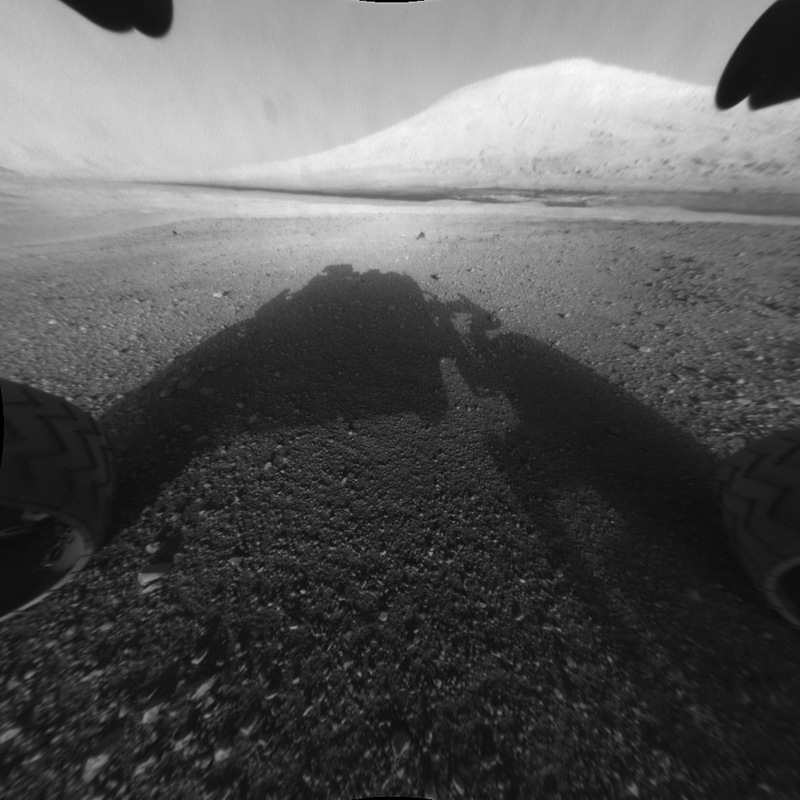 Sharp (in the distance) with Curiosity's shadow (in the foreground). The rover's mission will include investigating the lower layers of this mountain (officially known as Aeolis Mons). 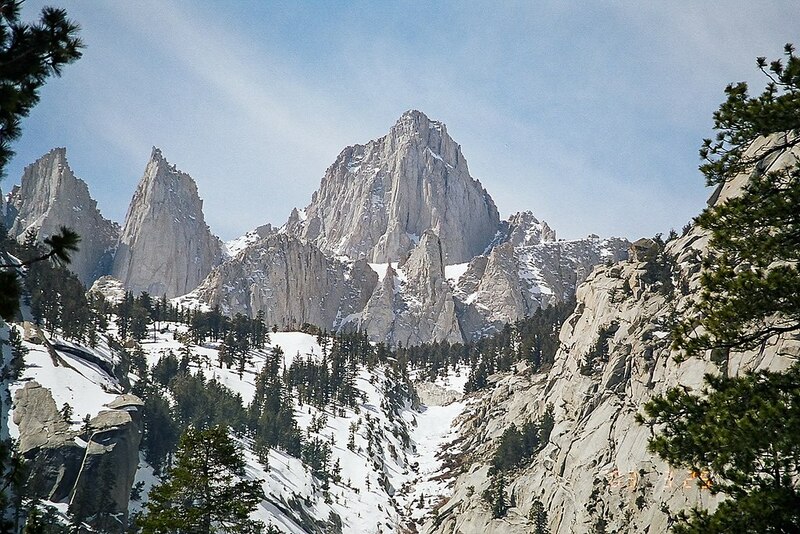 It is about 3.4 miles high (which is taller than Mt. Whitney, in California). Image by NASA/JPL/University of Arizona. Bos, Carole "Curiosity Parachutes to Mars" AwesomeStories.com. Oct 07, 2013. Apr 23, 2019.